As an agent practicing real estate in 2018, you know just how important technology is in meeting today's high standards for a superior client experience. 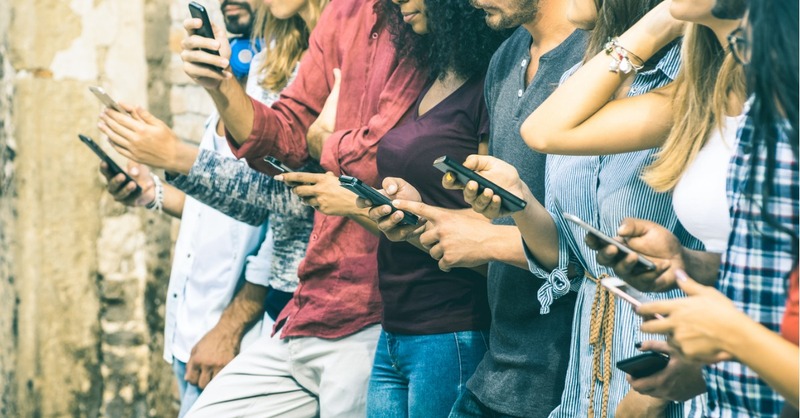 And while it may seem like the onslaught of tools and services are overwhelmingly significant, none are as essential as something many agents take for granted: their mobile phone. Looking for advanced tech on a budget? The XR (pronounced "ten-R") might make more sense for you. Running at around $749, this device gets you your choice of various fun colors—either yellow, blue, coral, white or black—as well as a sleek, edge-to-edge screen. While you won't get the outer stainless steel provided by the iPhone XS, you'll still receive Apple's Liquid Retina Display—perfect quality for seeing all the colors jump off your screen, even outside in sunlight. And, as you know, REALTORS® spend a lot of their times outdoors, running from appointment to appointment. You also get a pretty strong camera with both of these phones—a 12-megapixel lens with a f/1.8 aperture and optical image stabilization. If you want to save a few dollars on professional listing photography, you'll at least have your phone as a backup. Of course, nothing beats a wide-angle lens and a professional-grade flash. If you splurge and get the XS, which starts at $999, you'll get more premium materials, which means less of a chance of having to replace your phone when you inevitably drop it during your next home showing. Additionally, you'll get some performance bonuses, such as FACE ID that is more responsive—boosting your security, which is essential when your email and phone hold important transaction information—and increased battery life that will endure through long days of real estate to-dos. The most significant benefit of these phones? The price. The Google Pixel 3, starting at $799—a little pricier than the iPhone XR—gets you a much better camera than even the iPhone XS. So, if you want to really wow consumers with some bright, crisp photos, this phone is for you. While you may not get the sleek look that iPhone has perfected, a Google phone has myriad advantages, including unlimited cloud storage and relevant software updates—two key factors that could significantly help your business, especially if you're constantly saving photos and transaction paperwork on-the-go. You'll also get easier integration to the Google Suite of applications. As an avid G-Drive user myself, I know what this means to REALTORS® who rely on it for transaction management. Benefits of the XL? While you'll have to pay for it at a starting price of $899, you'll get a larger, 6.3-inch model with a longer battery life. All other features are the same, but the bigger screen could be helpful if you have trouble reading small text on a screen, especially since you might be relying on that information if you're meeting a client for a listing presentation and need to quickly pull up some solid stats to win them over. And battery life? Again, everyone knows REALTORS® don't sleep, so you need your phone to last as long as you do. By the way, is that coffee No. 3 you're on? These don't even scratch the surface. There's also the ever-popular Samsung Galaxy line or the emerging OnePlus brand, and more. Whatever you want to prioritize for your business—whether that be lighting speeds, abundant storage, long battery life or software that can support your daily routine—there's a phone for everyone. It's all about doing some research and seeing how the tools align with your business strategy.